We are going to be adding more preschool activities here at home as Wunderbaby has officially gone off to school. She is attending a play based preschool two days a week, and here a home I will be supplementing with fun activities that match what she is learning at school. 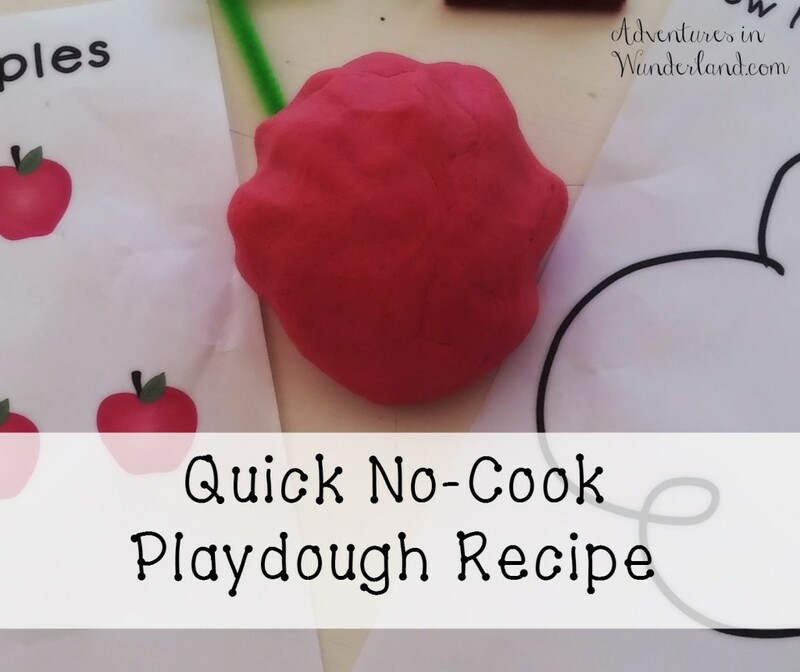 This week is All About Apples and we have created a fun preschool playdough unit to go along with it. All three activities are based around our red playdough. We made a quick no-cook playdough and added some pipe cleaners for “stems”. Mix all ingredients until dough forms. 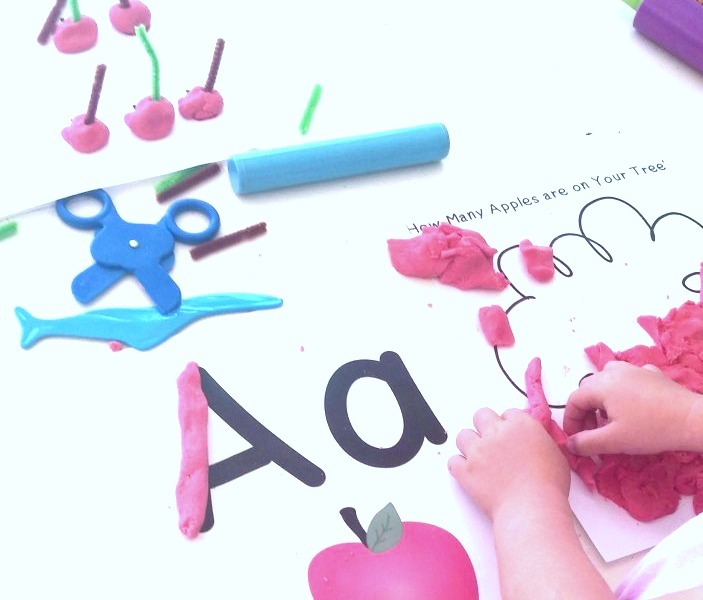 I have created three printable playdough mats to use that all focus on the Apple theme. The playdough mats can be printed and laminated for multiple uses. The first of the printables is a large Tree to decorate with your apples. The second page focuses on Number Recognition 1-3 and One to One correspondence. 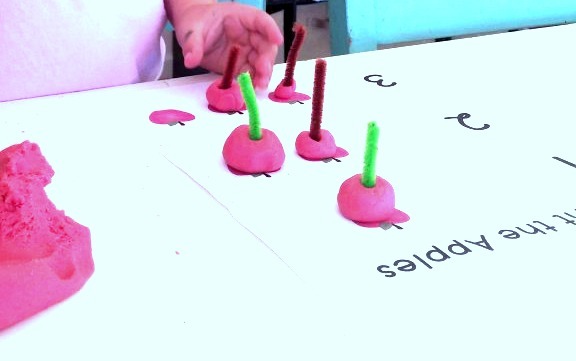 She made “apples” with her playdough to place on the pictures and then counted. I also had her count the total apples she had made for her tree on the fist page. The third she is on Letter recognition and sounds. She identified the upper and lower case letter, we discussed “Apple starts with the letter A” and practiced the sound, and she used her playdough to trace the letters. 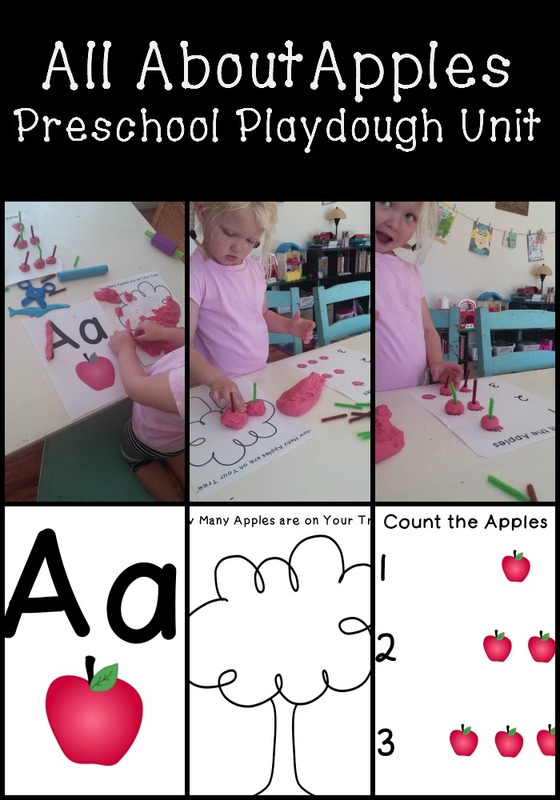 To download your own Printable All About Apples Playdough sheets click HERE. Looking for more Preschool Ideas for your little ones? Be sure to follow us on Pinterest! These printables are great! Playdough is a favorite at our house! Thank you so much for sharing at the Love to Learn Linky!